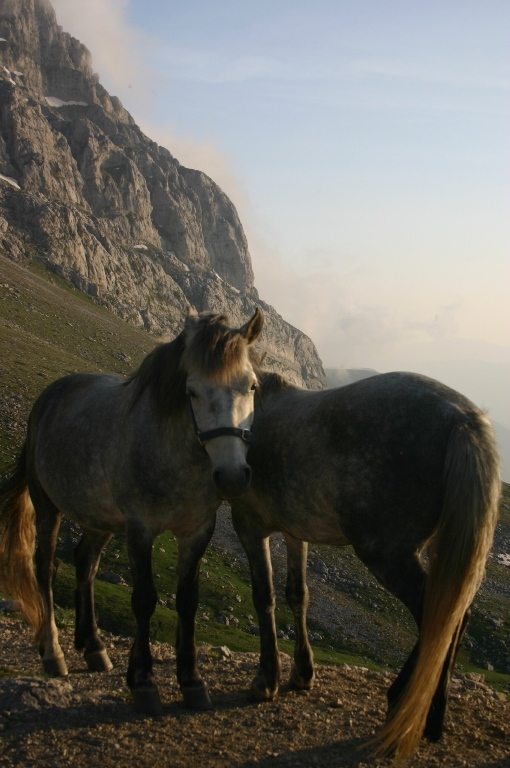 Follow old mule tracks on a magnificent horseshoe in the rugged Pindos Mountains of northern Greece. 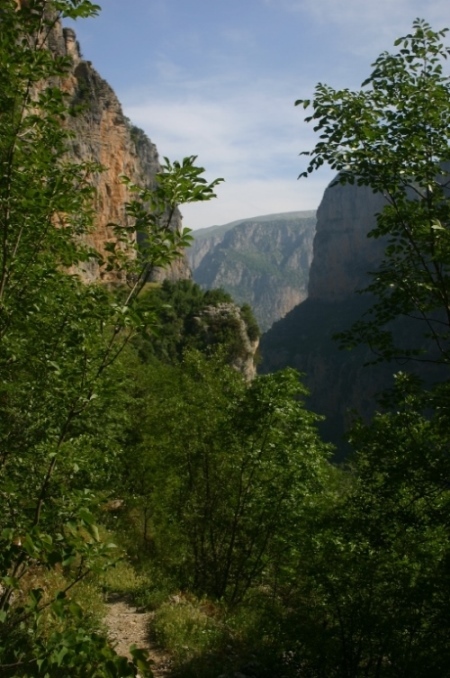 Walk through the spectacular Vikos Gorge, claimed to be the steepest in the world, with its pristine forests and varied wildlife; then ascend to the highlands and take in a peak or two. 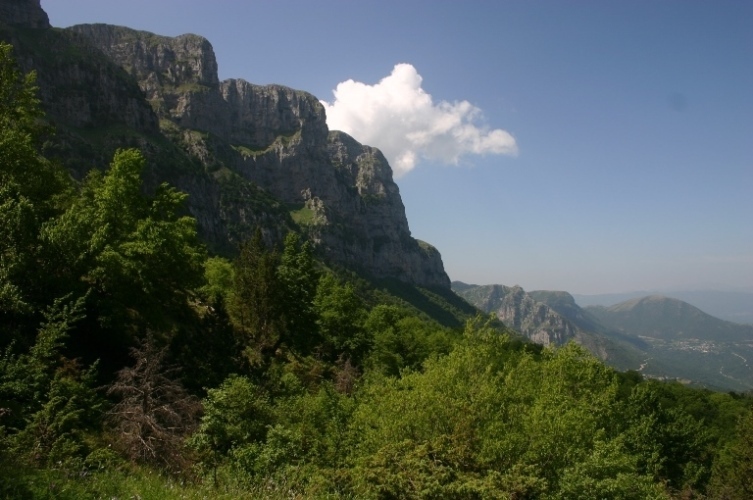 Superb scenery limestone cliffs, spires and gorges and a cracked alpine plateau. 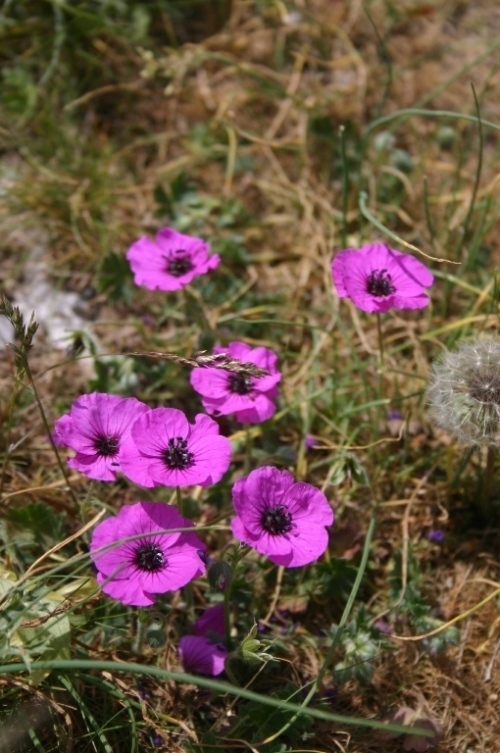 Enjoy gorgeous wildflowers in May and June. 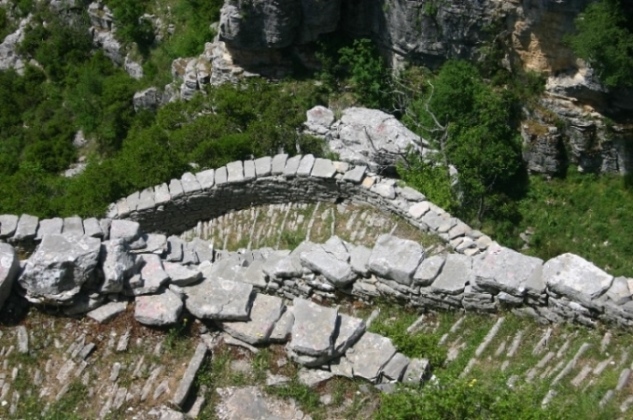 Take in the Beloi viewpoint, with its amazing views down the Vikos Gorge, and the spectacular mule track of the Vradeto steps. 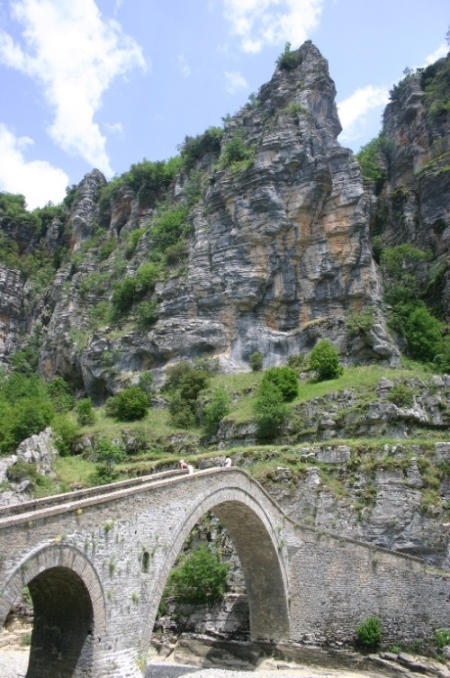 Stay in traditional villages of ancient stone houses, absorbing the remarkable history, architecture and culture of the Zagoria region. 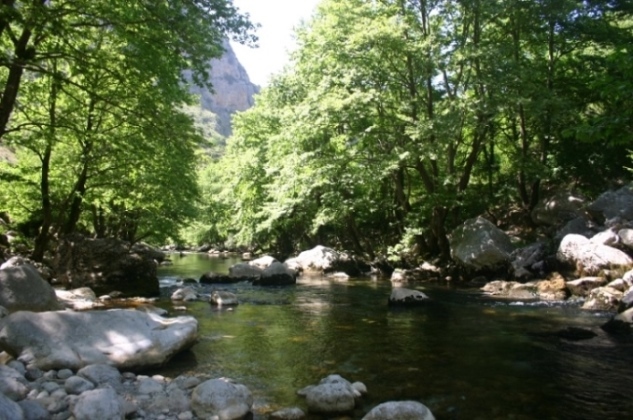 The wonderful region of Zagoria combines the wild grandeur of the north Pindos range - deeply eroded limestone peaks, cliffs and gorges - with glorious vegetation, intriguing wildlife and ancient villages that speak of a rich past. 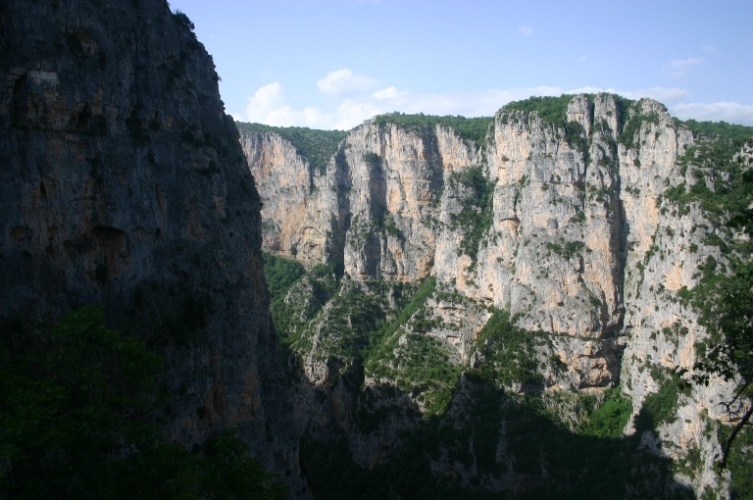 At its heart is the magnificent Vikos Gorge, claimed to be the world's deepest - although every country seems to have one of these. 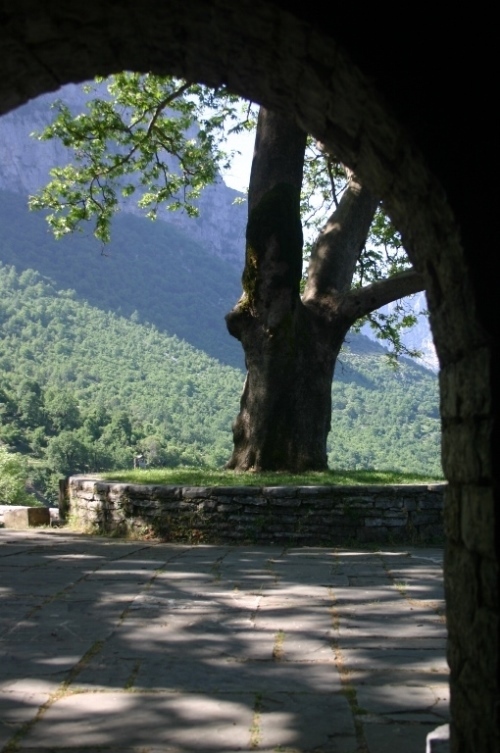 Zagoria is a distinctive place, with a surprising past. 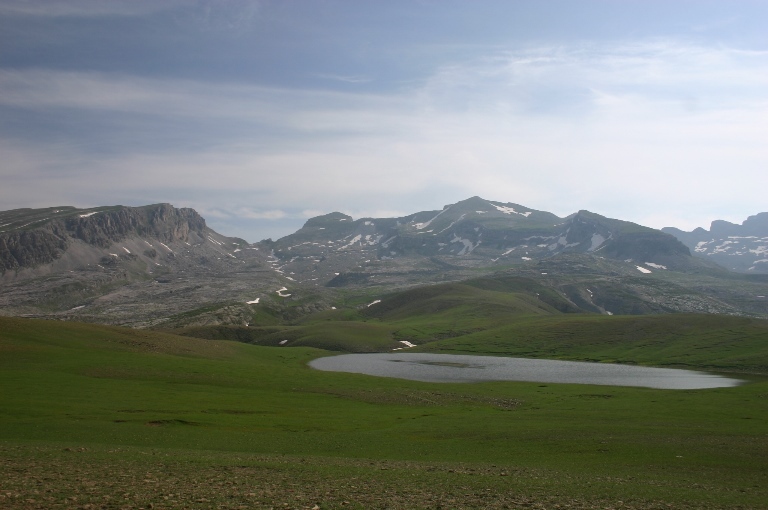 Unlike most mountain country, its remoteness enabled it to prosper: it was effectively autonomous within the Ottoman empire, avoiding the tax collectors but enabling its people to trade widely. 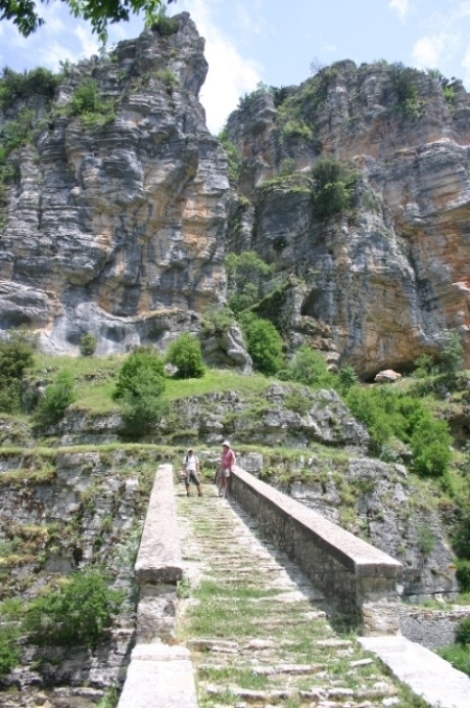 The area's superb Kalderini mule tracks and gracefully arched bridges are evidence of this long mercantile prosperity. 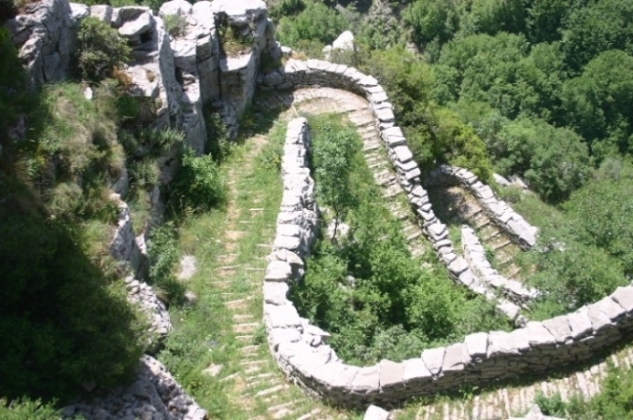 Following the fall of Byzantium to the Ottomans, its remoteness protected the old religion, culture and art from the depredations of the Muslim overlords. 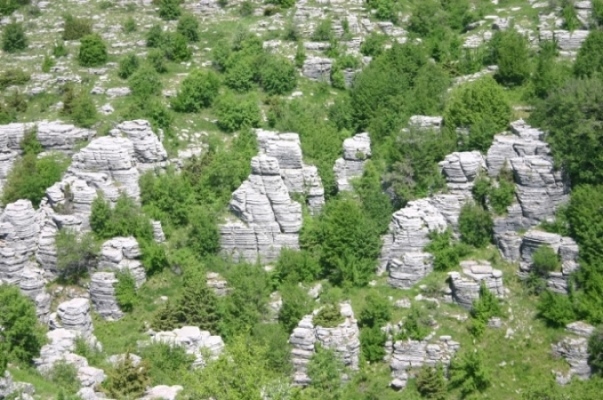 It was a base for partisans during WWII, and was heavily fought over during the ensuing civil war; from this, and the lure of the cities, came depopulation and dilapidation. 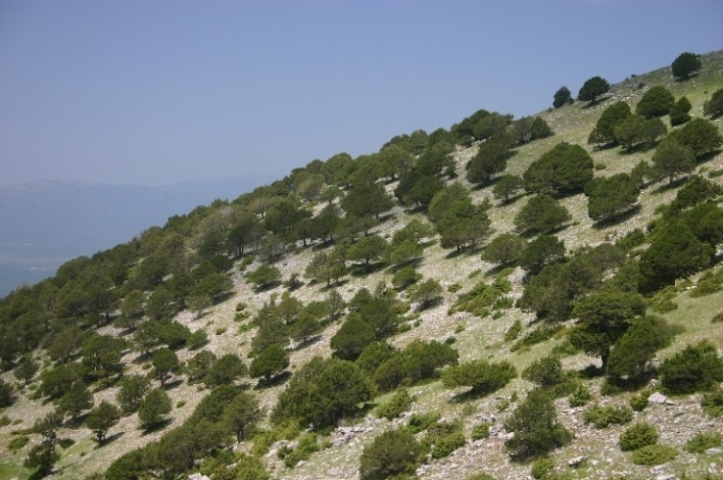 This has left the area remarkably unspoilt, and some of its villages are now national monuments, with their limestone walls and heavy slated roofs, narrow cobbled streets and mellow little squares under vast, spreading plane trees. Their thick-walled churches, with low arcades sheltering stone seats from the summer furnace, have been restored by prospering descendents from the cities. 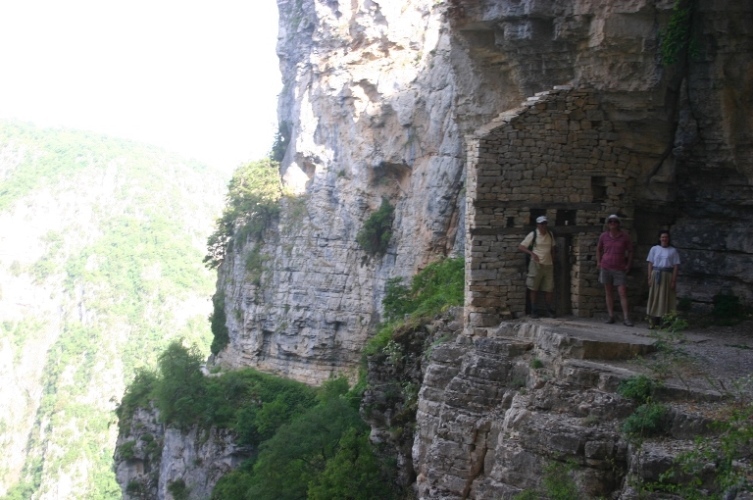 The area's monasteries and simple wayside chapels are moving evidence of its role in preserving Greek Christianity in the dark times of Ottoman rule. 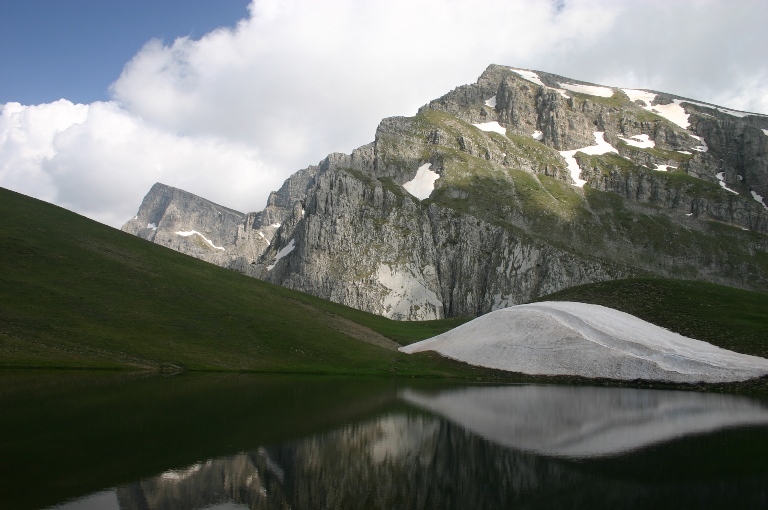 Zagoria straddles the far north of the Pindos Mountains, the spine of Greece, which march from Albania to the sea at Delphi. 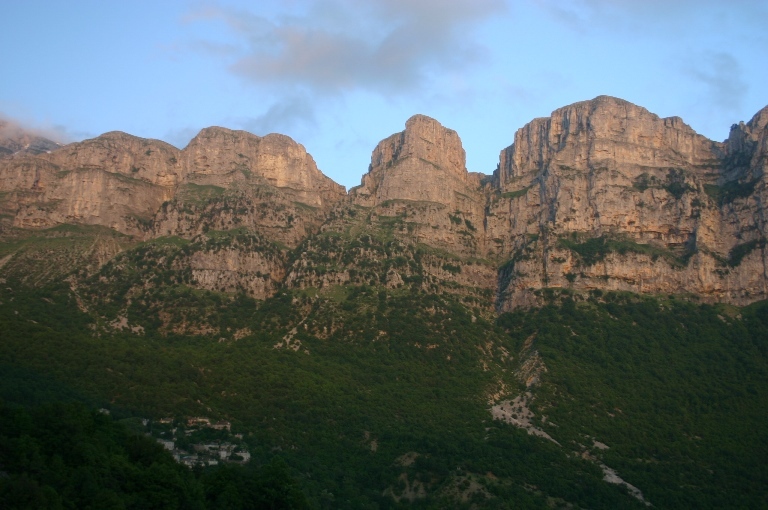 The range's limestone peaks and deep ravines make for thrilling if demanding trekking throughout its length, although the Vikos circuit is, justly, the most famous route. 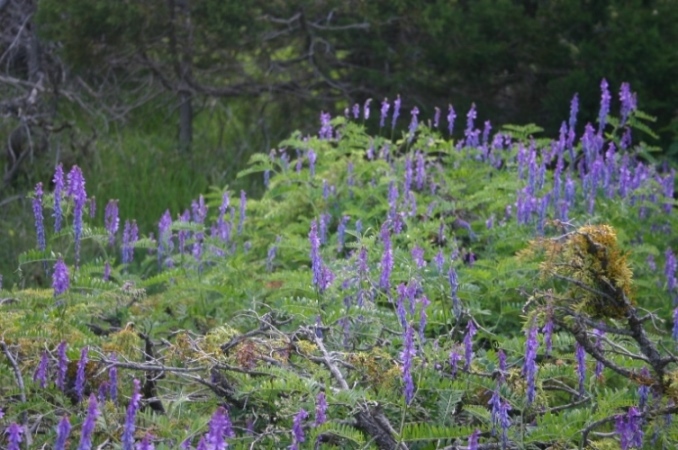 The area's lower slopes are cloaked in richly varied forests (and ancient, too; they are relics of earlier habitats) of beech, oak, maple, birch, hornbeam, with twisted pines giving way to patches of flowery pastures amid the crags on the higher slopes. 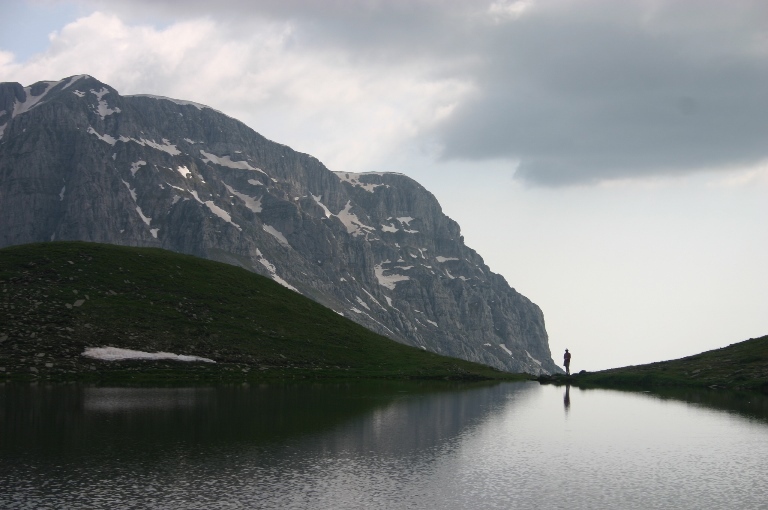 These mountains are home to abundant wildlife, although you are unlikely to see the bears, boar and wolves that lurk in their forests. 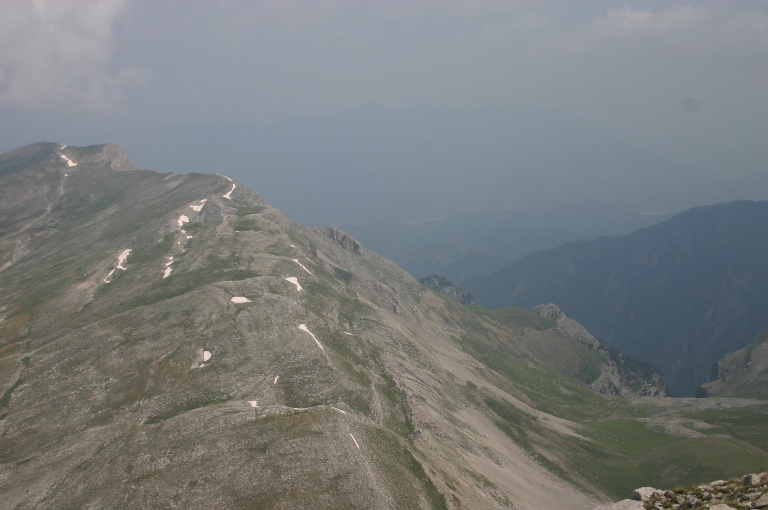 If you are sharp-eyed (and lucky), you will see chamois half way up some impossible precipice. 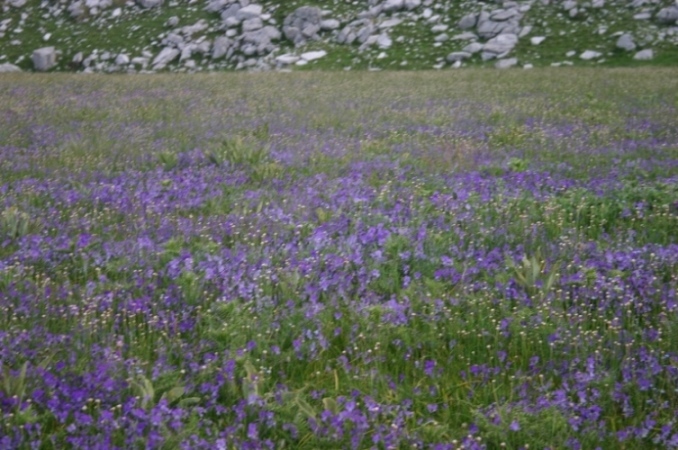 And the wild flowers in May and June, you will tramp through sparkling carpets of them in the higher meadows, and bright reception committees will line your path as you struggle up a cobbled track out of some abyss. 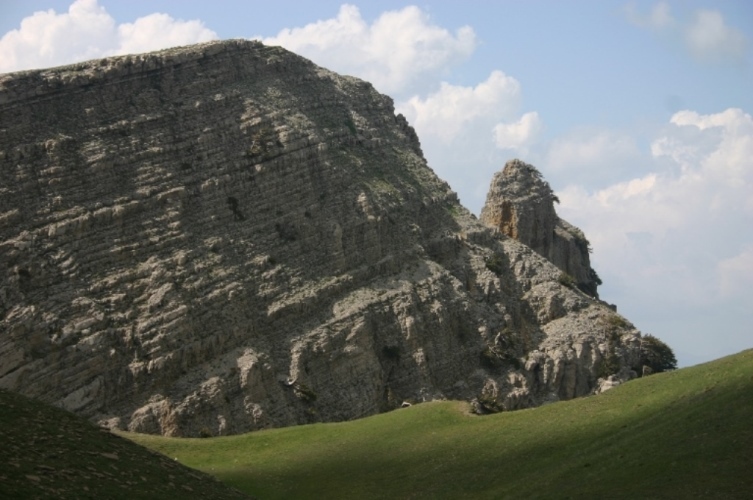 This walk is a circuit of up to seven days, often following the ancient mule tracks which linked the area's remote villages; it can be broken down into shorter routes (or even day walks) if time is short. 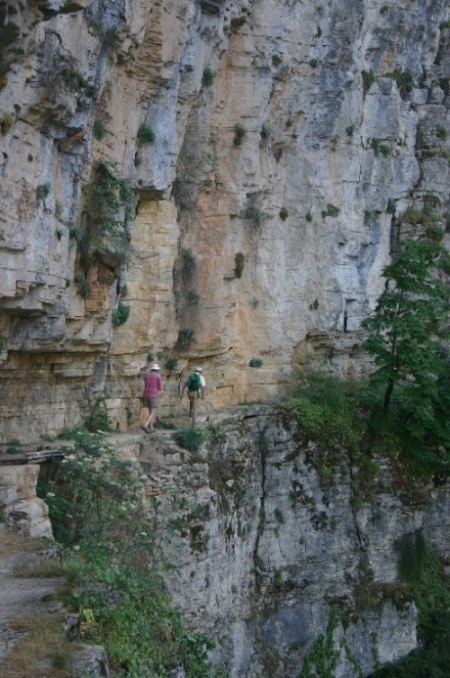 You will trek through the extraordinary Vikos Gorge, staying in the historic villages of Monodendri, and Vikos or Papigo, at each end; then slog up to the Astraka refuge, perched on a narrow ridge under ferocious cliffs, with wonderful views to each side; walk to the outstandingly beautiful Dragon Lake; and ascend Astraka peak. 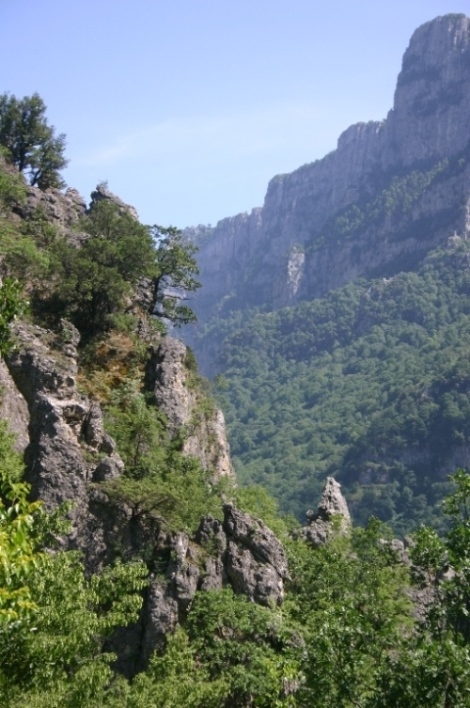 Gamila I, with its huge views over the Aos gorge, can be tackled instead or as well, if you are really keen. 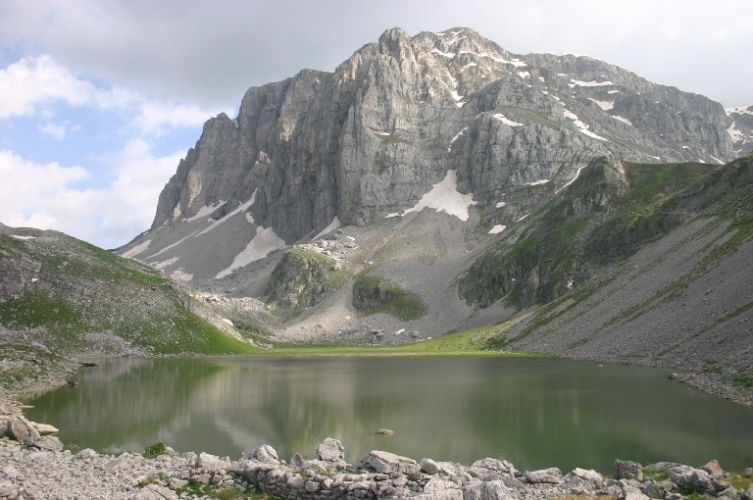 You are then faced with nearly 2,000m of trudge back to the refuge and down to Papigo - or you can enjoy a beautiful walk across the plateau round to Tsepelovo and Vradeto. 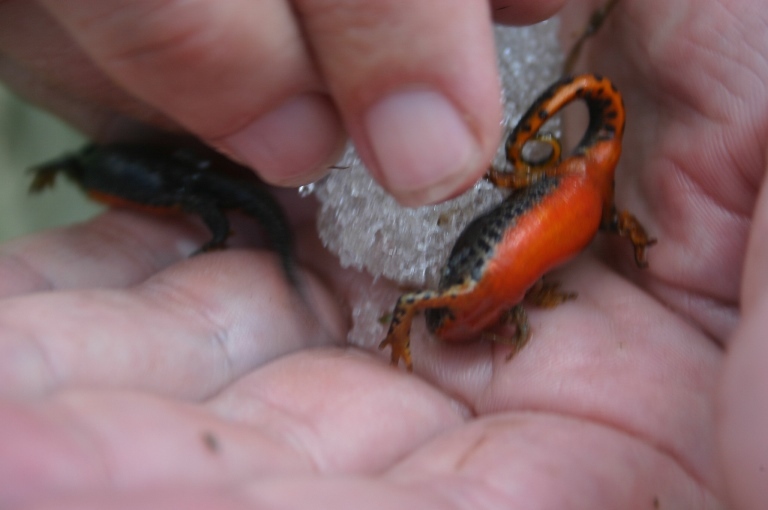 The tracks are well marked, and there are places to stay (and eat) every night. 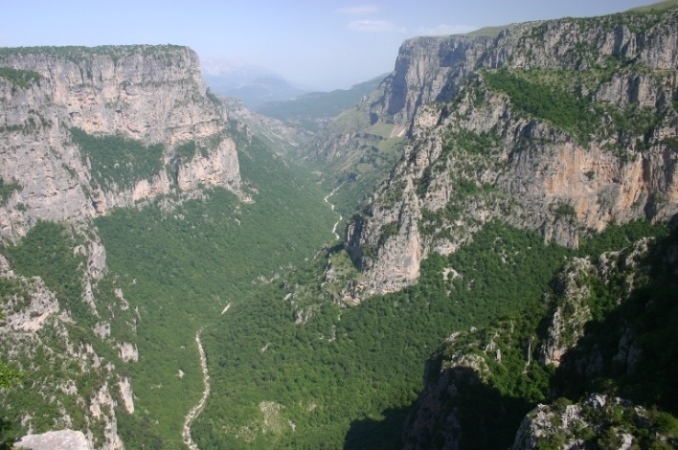 You shouldn't miss the view from Beloi down the Vikos Gorge and the ancient Vradeto steps, a seemingly endless switch-backing mule track which negotiates a cliff face down to a slender bridge in the cool of the distant canyon bottom. 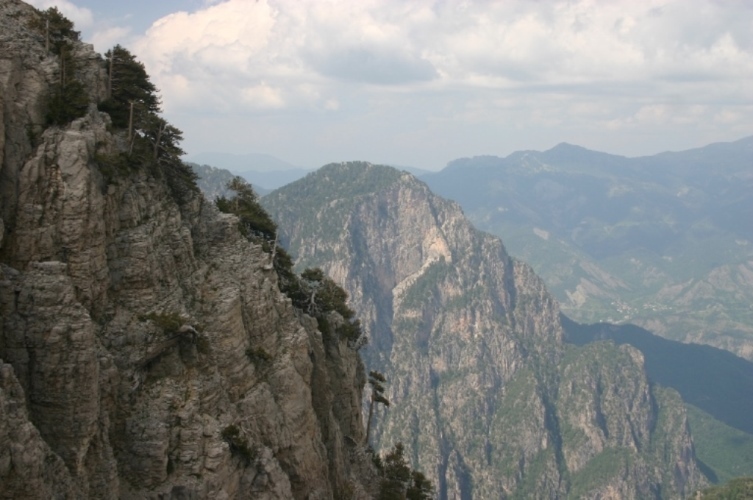 And you must get to the Agia Paraskevi nunnery perched below Monodendri on the very edge of the vast gorge. 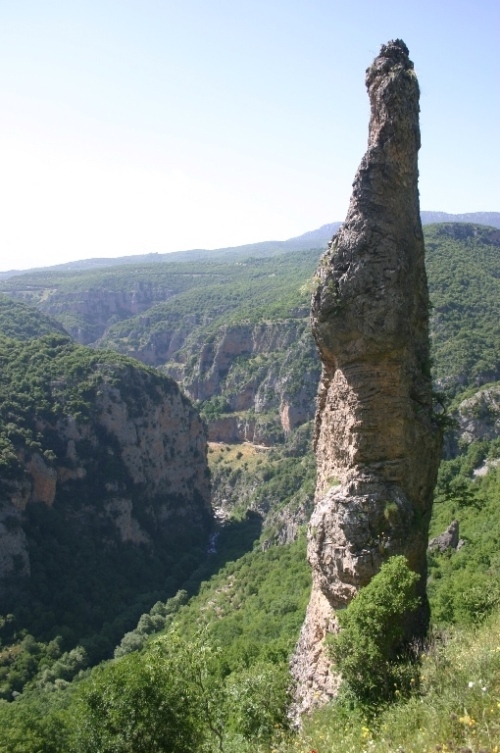 A ledge above it winds round the cliff-face to the Megali Spilia, a high, shallow scoop from the cliff rendered inaccessible by a stout doorway on the path. 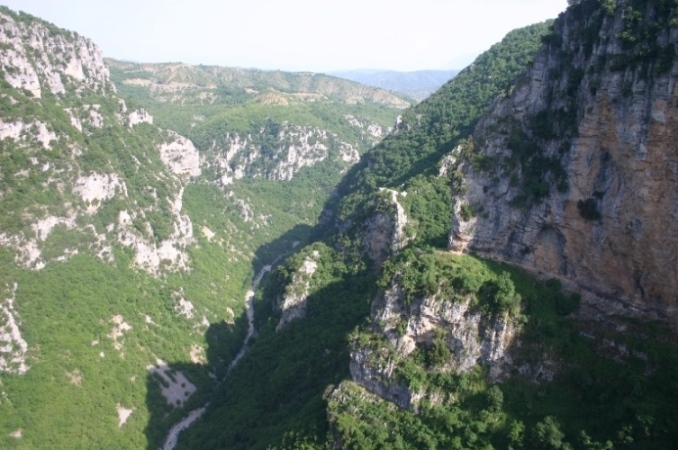 The walk along this ledge - no more than a metre wide in places and 300 metres above the quiet forest of the bottom, with ravishing views out into the gorge - is thrilling, but horrible for anyone prone to vertigo. 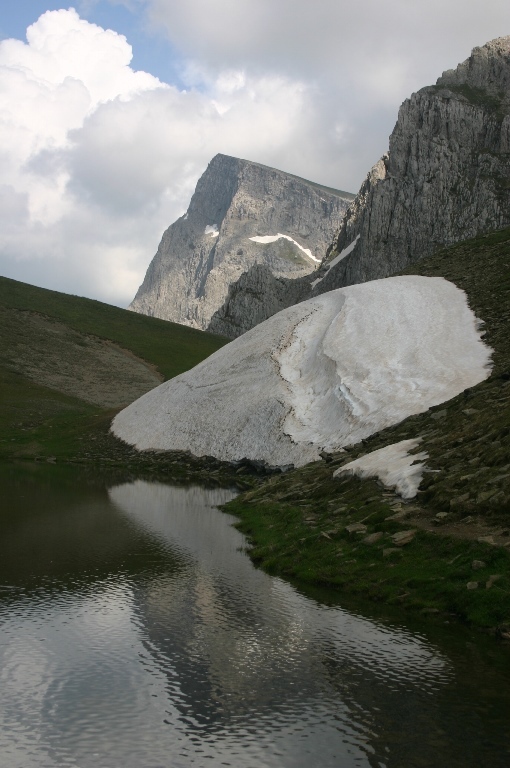 In the remote mountains of north-western Greece, up by the Albanian border, lies the region of Zagoria, which boasts the wild grandeur of the north Pindos range – deeply eroded limestone peaks, cliffs and gorges – and ancient villages which tell of a rich past. 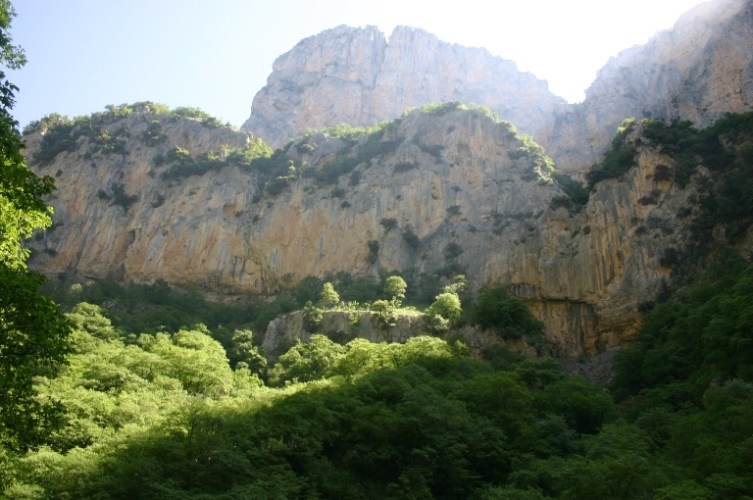 At its heart is the magnificent Vikos Gorge, claimed to be the world's deepest - although every country seems to have a deepest gorge and those who have scrambled through the USA's slot canyons or trekked the Colca Canyon in Peru may dispute this particular claim. Back in Igoumenitsa after an early ferry, I caught the bus to the city of Ioannina, although buoyed by my new plan; I still watched the peaks of Corfu until they were out of sight with a heavy heart. 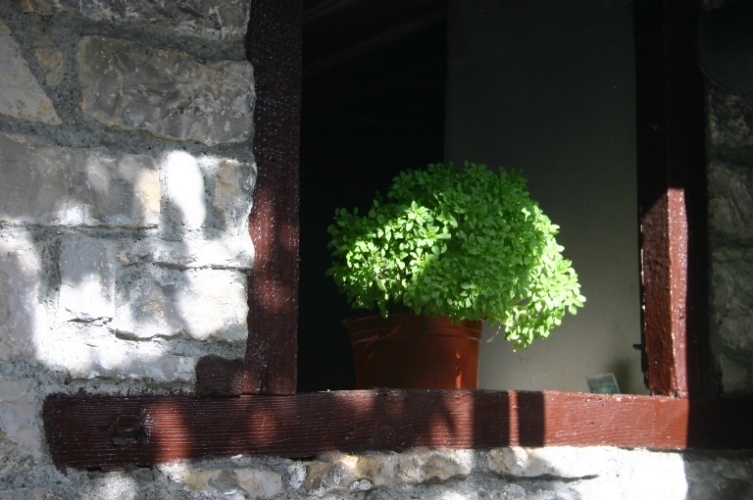 Ioannina had another pleasant old town with Byzantine relics and pretty houses, but little else to offer in the way of Greek culture. In a café, again trying to connect to wifi to see if my excellently planned last minute couchsurf requests had been accepted I got chatting with a young student and her friend. 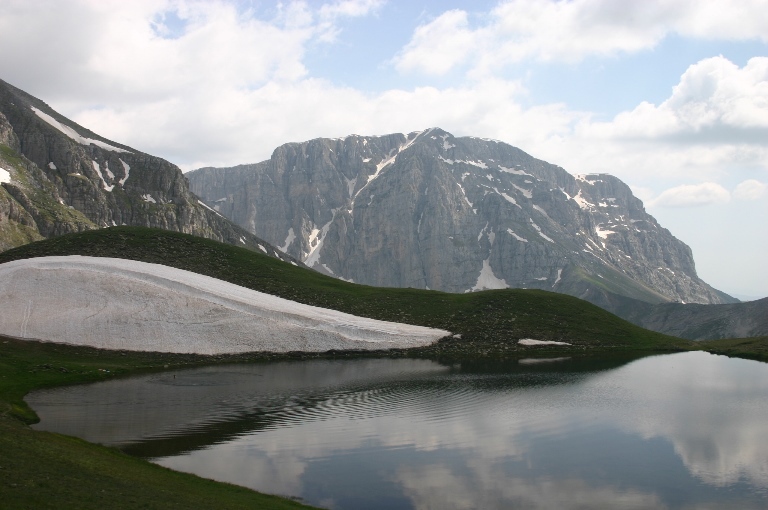 We spent the day by the lake, and I was interrogated on all aspects of British culture, they invited me to stay and were fascinated by my trip, and even asked me to read long extracts from my journal, which even I had difficulty understanding sometimes.